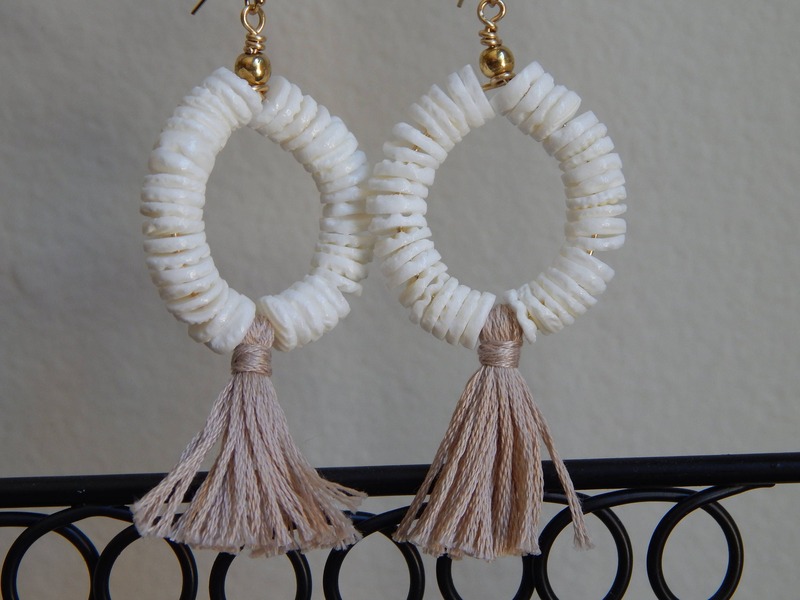 White seashell heishi earrings hold a small cotton tassel. 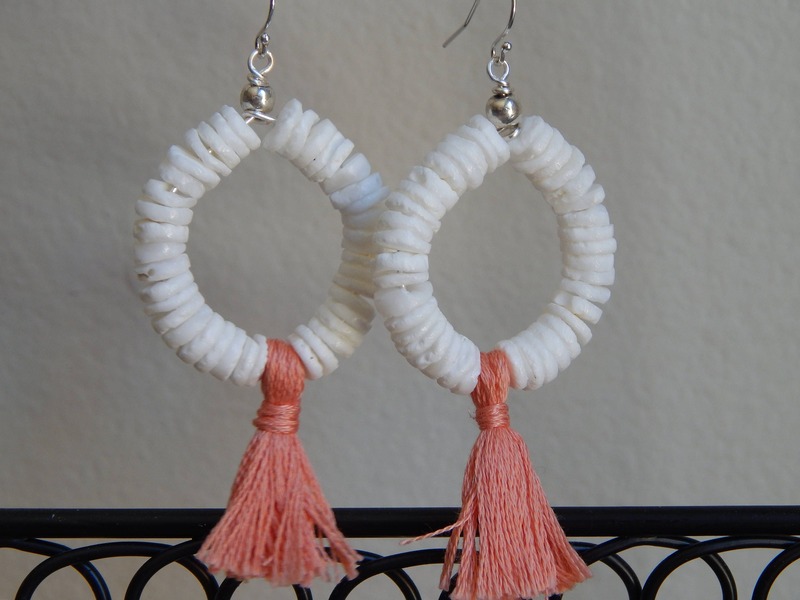 These lightweight and easy to wear earrings are the perfect earring for summer that goes with everything and great for year round wear. 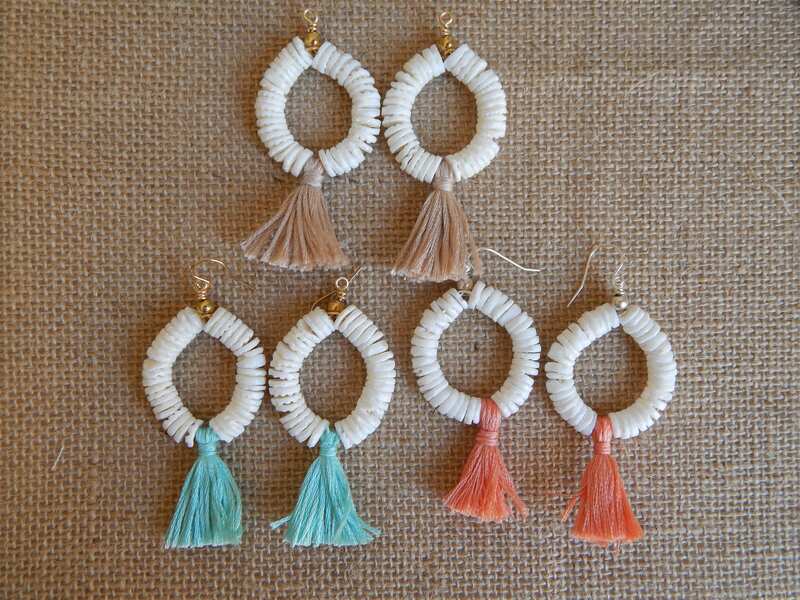 Earrings measure 2.75 inches to bottom of tassel not including the earwire. Comes in the 3 colors shown or if there is another color you prefer message me before purchase. 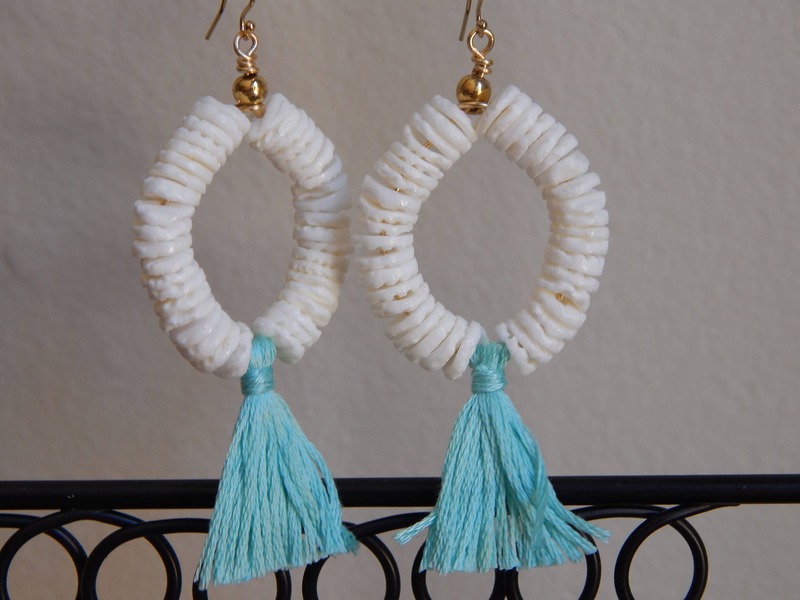 Earrings hang from either sterling silver earwires or 14kt gold filled earwires.